In this Mathematics Logic Puzzle there is group of four number is given in a square. These numbers are related to each other with a logical pattern. 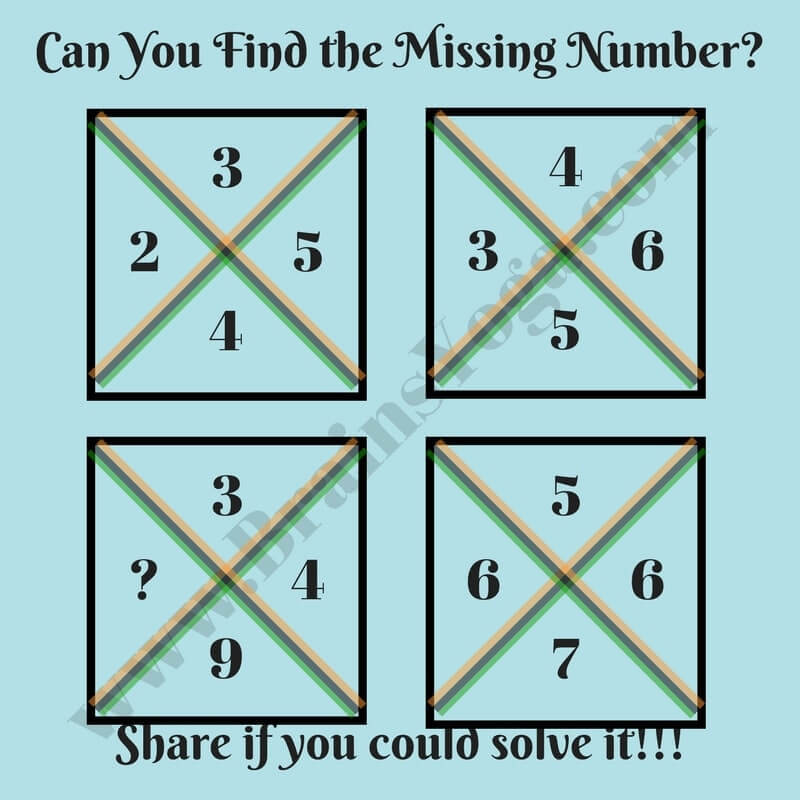 Can you find this logical pattern and then find the missing number which will replace the question mark? 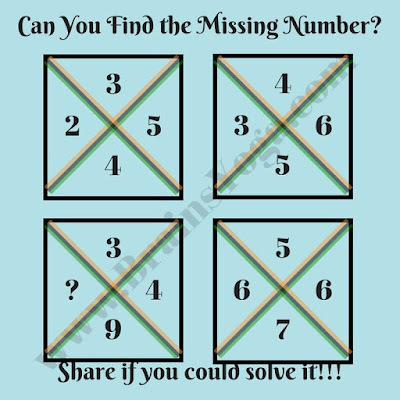 The Answer is 8. Sum of numbers in opposite quadrant is same.